Between 10 a.m. and 2 p.m. on March 28 students from the School of Communication Sciences and Disorders (SCSD) in McGill University’s Faculty of Medicine will be holding a Speech-Language Pathology (SLP) event open to the public in collaboration with the Jewish General Hospital (JGH) aimed at increasing awareness of the connection between dysphagia and dementia. The event builds on the swallowing awareness event that has been held at the JGH the last two years, broadening the content and expanding the screening to include language. “Gina Mills, the Director of the SLP Department at the JGH, mentioned that she was interested in investigating the link between dysphagia and dementia because they often co-occur, and one way to do that is to bring in language screening because language is an area that can be affected by dementia,” explains Arielle Barot-Brown, one of the group of five second-year master’s students leading the organization of the event under the supervision of Dr. Nicole Li-Jessen. Dr. Noémie Auclair-Ouellet, Assistant Professor at the SCSD, also joined the team to supervise the students in using the language screening test at this year’s event. 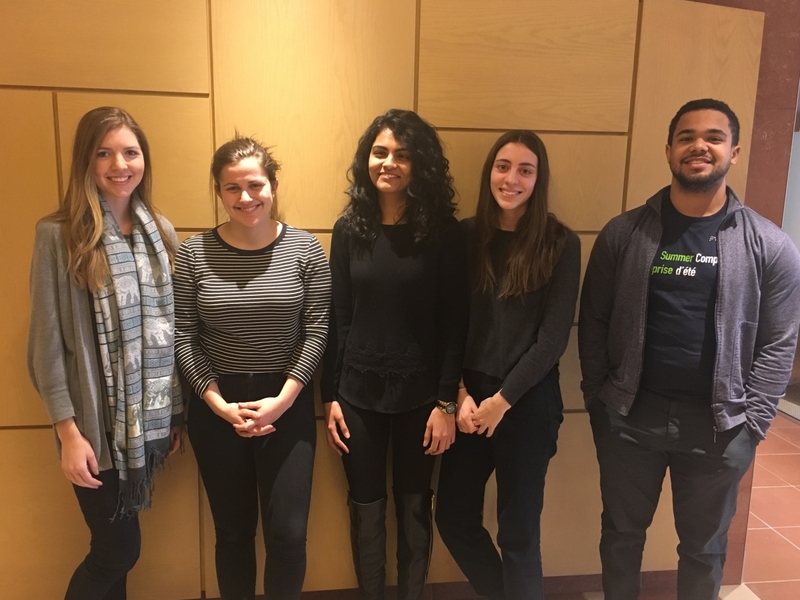 In preparing for the event, the students developed a flyer about dementia and swallowing, conducted a literature review and learned a lot about the difference between normal age progression and swallowing versus dementia and swallowing. Students also made the event more interactive than in the past with the inclusion of augmented reality as well as videos and other materials for people to peruse.